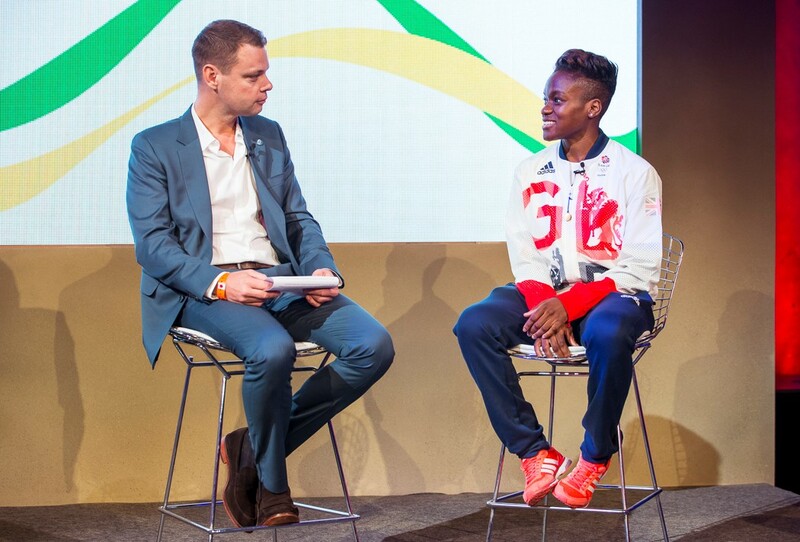 Defending Olympic champion Nicola Adams was the guest of honour at the Fight for Peace reception which was held in the Favelas of Rio on the eve of the 2016 Olympic Games Opening Ceremony. The reception was held at the British House in Rio de Janeiro which is set to be host to all sporting achievements of Team GB. The charity, which is a partner of Team GB uses boxing and martial arts to re-engage young people into society by positive education. They focus on working with young people in communities effected by crime, violence and social exclusion. The charity which was set up by England’s Luke Downey, was first established in Rio de Janeiro in 2000. This was then followed by the opening of their academy in London 2007 which has since seen the charity become a growing success and now has sites in 25 countries all over the world. Nicola first got involved with the charity in the Favelas of Rio in September 2012 along with fellow Olympic champion Anthony Joshua. This was part of a diplomatic visit to the Favelas where they were accompanied by previous Prime Minister, David Cameron.